An appreciation from his son, in collaboration with his siblings and Professor Ivana Markova. Gustav Jahoda was born in Vienna. At the outbreak of WWII he joined the French army and came to the UK after his unit had retreated to the coast. At the port of St Nazaire the two last boats left France with the retreating British Expeditionary Force. Gustav chose to embark on the ‘Royal Ulsterman’. The larger of the two ships, the former cruise liner the ‘Lancastria’ received a direct hit from a German bomber. Almost all of the 3000–5000 on board died. It was the largest single-ship loss of life in British maritime history. After the war Gustav graduated from London University before obtaining lectureships in at the Universities of Manchester, West Africa (Ghana) and Glasgow. In 1964 he became the founding Professor of the newly established Department of Psychology at the University of Strathclyde. Building on his experience in Ghana, Gustav carried out pioneering research addressing significant theoretical and methodological issues. For example, in Ghana children were given a soul name according to the day of the week they were born. Monday’s child was thought to be peaceable while Wednesday’s child was believed to be aggressive and a troublemaker. After hearing such views expressed by teachers and child welfare officers, he wondered about the effect of this labelling and laboriously analysed Juvenile Court records. While Monday’s children appeared on the records significantly less often than other children, Wednesday’s children were significantly more likely to have committed crimes against the person. While Gustav thought that he had shown the effects of labelling on the children, others assumed that their beliefs about the day of birth had been proved correct! In his first book, White Man, based on his research in Ghana, Gustav turned round the commonly studied white people’s perceptions of black people and instead, he explored how white people were perceived by black Ghanaians. In the early 1960s Gustav took part in the activities of European social psychologists to establish their own vision of the discipline, and he was one of the founders of the European Association of Experimental Social Psychology. He built collaborations with psychologists across Europe and offered a fresh perspective that challenged some of the dominant views from North America. Perhaps what marked him out was the breadth of his knowledge and interests, a polymath with an extraordinary ability to retain information. This was allied to rigour, an eye for detail, a keen grasp of method and a genuine curiosity about the world. Gustav studied a wide range of topics. After White Man his books include The Psychology of Superstition (1969), Psychology and Anthropology (1982), Crossroads Between Culture and Mind (1992), Images of Savages: Ancient Roots of Modern Prejudice in Western Culture (1998) and A History of Social Psychology (2007). His numerous papers are concerned with child development, perception, attitudes, culture, nationalism and the history of social sciences. In one of his large ground-breaking studies he explored children’s understanding of alcohol; important lessons of this research for alcohol education are still relevant today. 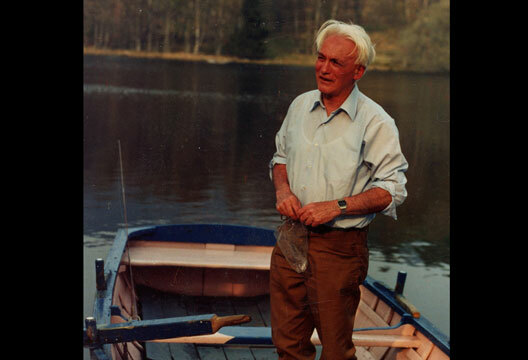 In 1988 Gustav was elected a Fellow of the British Academy and in 1993 a Fellow of the Royal Society of Edinburgh. After he retired in 1985, Gustav spoke of his move from the field to the library. He continued to dedicate himself to learning and was grateful to the Department of Psychology at Strathclyde for allowing him to maintain an office, which he repaid by continuing to write and publish his research. Those who knew him might be surprised to learn that he greatly missed the contact with students in his later years. He took genuine pleasure in the successes and achievements of colleagues or students. Though keen to encourage students’ original thinking, he had no hesitation in taking issue with established figures when he believed their contentions were unsound. While his arguments were carefully constructed and telling, his criticisms were never personal. Gustav’s zest for knowledge and driven engagement with the world of ideas lasted until his final weeks and days, even as he became very physically frail. Up to the end of last year he engaged with new ideas and developments in science, art and politics. He continued publishing and planned new subjects for papers. He refused medical treatment when he realised that he faced a high level of dependence, discomfort and indignity, with the prospect only of further physical deterioration, and when his scope for active and independent intellectual functioning was going to drastically reduce or disappear. In his last few weeks, when we asked him what academic endeavours he was most proud of he said that it was his work to challenge lazy assumptions about cultural superiority. In one of his studies he took on the idea that children from non-industrial societies struggle with grasping certain mathematical concepts. He showed that Zimbabwean children who were involved in market trading had a far better understanding of ‘profit’ than British children of the same age group. Encyclopedia of the History of Psychological Theories nominates Gustav Jahoda as ‘perhaps the first modern cross-cultural psychologist’. Although he made significant contributions to various branches of scholarship, his pioneering work in cross-cultural psychology is Gustav’s main life accomplishment.